Your Best Decision After A Collision! Did you know that by law you have a choice where to have your vehicle repaired? 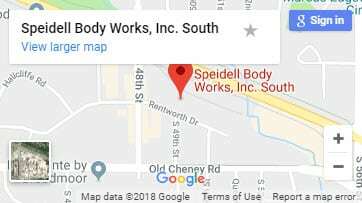 In Nebraska an insurance company cannot force you to patronize a body shop of their choice. An insurer can suggest certain shops that are on their direct repair program but the choice is yours as to whom you have repair your vehicle. You may choose to go with their contracted shop but if you are not comfortable with them simply inform the claims representative that you want to use a different shop. Don’t let them scare you by saying that they won’t guarantee the work if it is not done by a “network” shop as ultimately it is the shop who guarantees the repair. 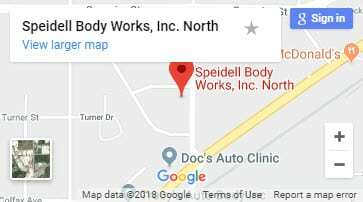 Speidell Body Works is more than happy to work with any insurer whether or not we are on their network to see that your vehicle is restored to its pre-loss condition or better and we guarantee our workmanship for as long as your own vehicle.